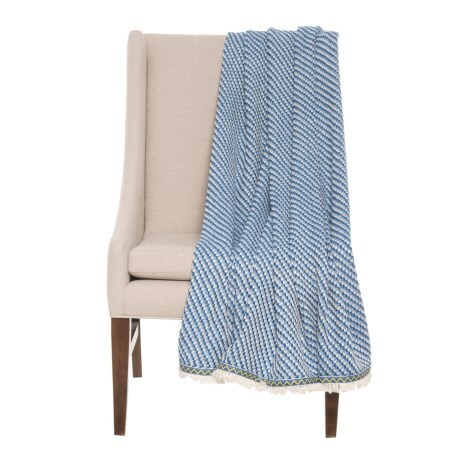 Avalon Throw Blanket - 50x60? CLOSEOUTS. Add cozy comfort and homespun charm to any living space with Kensieand#39;s Avalon throw blanket, crafted from soft, woven acrylic yarns and embellished with tribal-inspired trim and fringe. Available Colors: BLUE.